So what do you do with a movie that fails at the box office? Why not make it into a Broadway Musical! 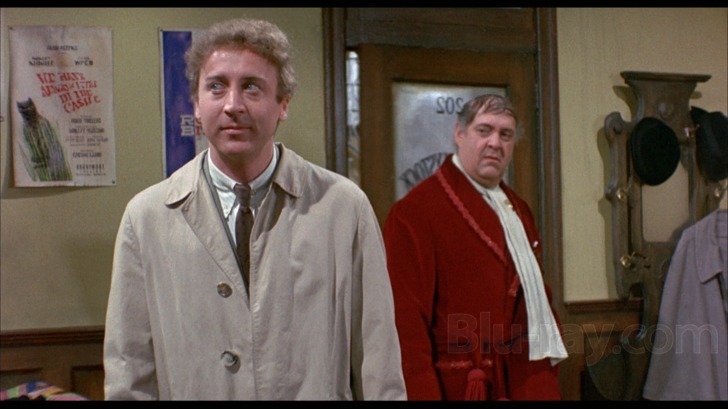 It’s actually fitting that one of the most popular of these is a film about making a bomb, that just happens to turn out to be a big hit…The Producers. 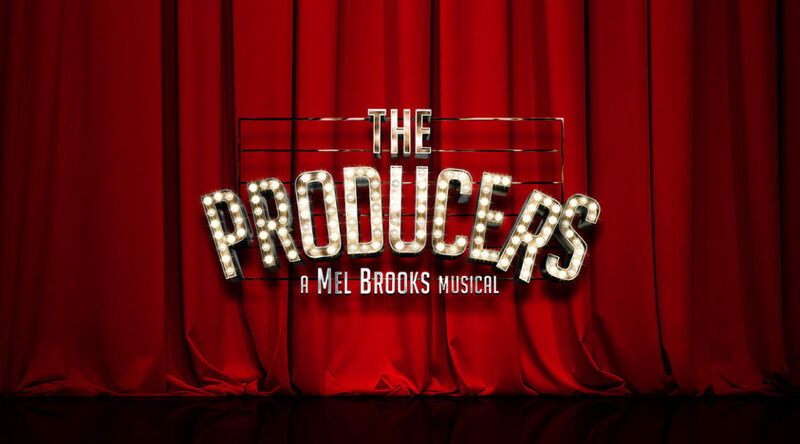 Regardless, years later when Mel Brooks was considering adapting one of his movie into a play he decided to adapted The Producers as a Broadway stage musical and it opened at the St James Theater in April 2001, with Nathan Lane as Bialystock and Matthew Broderick as Bloom. The renowned musical went on to run for 2502 performances and won a record-breaking 12 Tony awards. A new movie which included Nathan Lane and Mathew Broderick was released in 2005, but that one didn’t fare too well either. It’s better as a stage play. Another one to take the stage was Victor Victoria. Originally written and directed by Blake Edwards in 1982, starring James Garner, Julie Andrews and Robert Preston, the movie did not do well. We absolutely loved the film, however. It’s well suited for the transition to stage, as it’s about a struggling female soprano who finds work playing a male female impersonator, but it complicates her personal life. Robert Preston is just amazing in the film and really steals the show with his musical number at the end of the movie. Robert Preston did the final musical number in one take, which explains why he was so clearly out of breath, physically stressed, and sweating profusely during the second half of the number. So it’s very easy to see it transferred to Broadway. In 1995, Blake Edwards decided to transfer the movie to Broadway and convinced his wife Julie Andrews to reprise her role. 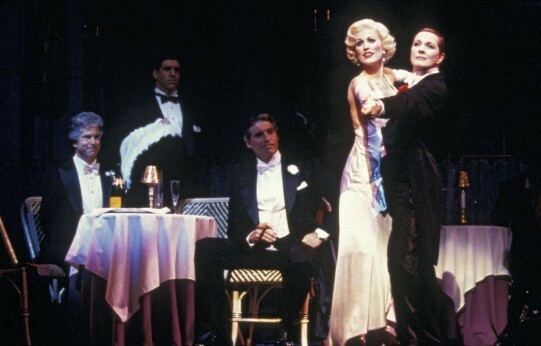 The hit Broadway musical Victor Victoria opened at the Marquis Theater on October 25, 1995 and ran for 734 performances. Liza Minnelli substituted for Julie Andrews while she was on vacation and Raquel Welch took over for her when she left the show. 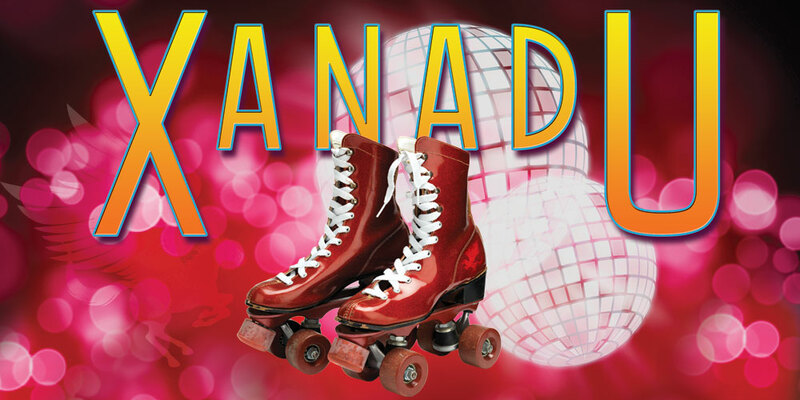 In 1980, Olivia Newton-John, Michael Beck and Gene Kelly starred in the box office bomb, Xanadu. Again, we loved the movie but it was a huge fail. Famously received the one sentence review: “In a word, Xana-don’t”. I think the main problem is that MTV ruined that movie. What I mean by that is, it’s totally designed to be a musical, but MTV was so popular at the time that they put all the musical numbers into the music, with none of the characters actually singing the songs. It’s just in the background and designed as like music video numbers scattered throughout the film. They dance plenty, but they never really sing. When I ask people about the movie, it’s funny that people don’t realize that no one in the film ever really sings any of the songs until the end of the movie when Olivia is on stage at the roller rink. The Broadway stage version opened at the Helen Hayes Theater on July 10, 2007, and ran for 512 performances. It was nominated for the 2008 Tony Awards for Best Musical and Book. One of the most unusual film-to-Broadway adaptations would have to be Monty Python and the Holy Grail. In 1975, the Monty Python’s Flying Circus cast wrote and directed a small independent film called Monty Python and the Holy Grail. It did fairly well at the box office but really achieved cult status on video and DVD. It’s a very funny but strange film. The theatrical release contains 527 jokes, including 42 in the opening credits, for an average of one joke every 10.5 seconds. According to Eric Idle, Terry Gilliam and Terry Jones got the directing job because they were the only ones who were interested in it. The movie was adapted as a Broadway musical in 2006 called Spamalot. The Broadway play was a huge hit. The original 2005 Broadway production, directed by Mike Nichols, won three Tony Awards, including the Tony Award for Best Musical of the 2004–2005 season and received 14 Tony Award nominations. During its initial run of over 1,500 performances it was seen by more than two million people and grossed over $175 million. Newsies was another musical disaster for Disney initially, but managed to make for a very fine Broadway play. It was directed by Kenny Ortega, who would head up the very successful High School Musical series a few years later. (High School Musical, being way too successful to consider making into a Broadway play has never made the transition…) Newsies was released in 1992 with pre-Batman Christian Bale, Bill Pullman, Ann-Margret and Robert Duvall. At the time, this was one of the lowest grossing live action movies in Walt Disney studio history. The movie was a critical and commercial flop upon its initial theatrical release. However, it gathered a cult following after its home video release, eventually made its filming budget back on rentals, and was deemed popular enough to be adapted into a stage musical, which premiered at the Paper Mill Playhouse in New Jersey in 2011. The musical had music and lyrics by Alan Menken (who composed the movie’s music as well) and Jack Feldman (the movie’s lyricist), and a new book by playwright and actor Harvey Fierstein. This musical moved to Broadway in March 2012 and closed over two years later; a North American tour also launched in 2014. The show went on to earn eight Tony Award nominations, including Best Musical, winning Best Choreography and Best Original Score. 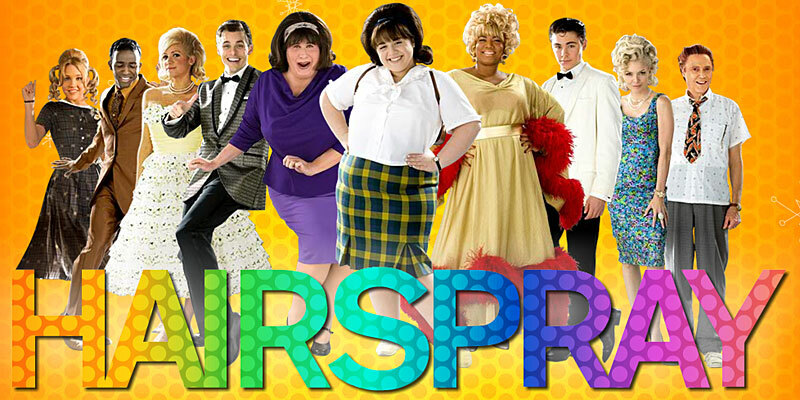 Now, Hairspray is another very unusual adaptation as the first movie in 1988 directed by John Waters was not a hit, but did moderately well and found cult status on Video and DVD, then was adapted into a very successful Broadway Play and then again translated into a very successful movie in 2007. The original was not a musical, which tells me that certain stories just lend themselves very well to being told as musicals. Jerry Stiller, who plays Wilbur Turnblad in this film, also appears in Hairspray (2007) as Mr. Pinky. Remade on the Broadway stage in 2002 as a musical by Marc Shaiman, Scott Wittman, Mark O’Donnell and Thomas Meehan, starring Harvey Fierstein (and later, Bruce Vilanch, Michael McKean and John Pinette) in the role of Edna Turnblad (played in the film by Divine) and Marissa Jaret Winokur in the role of Tracy Turnblad (played in the film by Ricki Lake) The musical opened at the Neil Simon Theater on August 15, 2002 and ran for 2641 performances. It won the 2003 Tony Award for Best Musical. Adam Shankman directed the 2007 film with John Travolta playing Edna and Nikki Blonsky playing Tracy. With $27.5 million, this had the best opening ever for a movie musical until Mamma Mia! (2008). 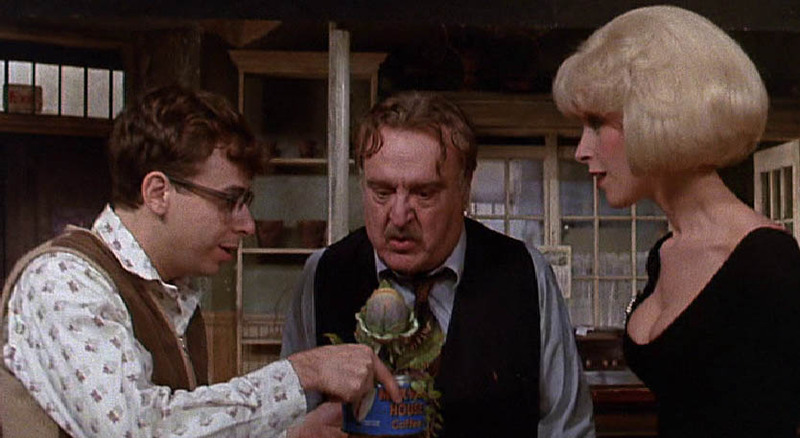 Another film-to-broadway-back-to-film adaptation is Little Shop of Horrors. Low budget Independent producer Roger Corman and Charles B. Griffith. The shooting schedule for this film was two days and one night because Roger Corman had made a bet that he could make a movie in two days. Charles B. Griffith took a little more than that to write it. A young Jack Nicholson has only a small part as Farb’s masochistic patient, Wilbur Force. But later, as the actor’s career began to take off, he was prominently featured on the home-video releases to help generate interest in the film. The film was remade as a successful stage musical in 1982, by composer Alan Menken and writer Howard Ashman. (who would go on to do Disney’s The Little Mermaid and then many other successful animated musicals) The musical premiered Off-Off-Broadway in 1982 before moving to the Orpheum Theatre Off-Broadway, where it had a five-year run. It later received numerous productions in the U.S. and abroad, and a subsequent Broadway production. When it closed on November 1, 1987, after 2,209 performances, it was the third-longest running musical and the highest-grossing production in Off-Broadway history. Ellen Greene reprised her role from the play as Audrey in the 1986 movie of the musical. Frank Oz directed with Rick Moranis playing Seymour. Ellen Greene as Audrey (I) is the only member of the Off-Broadway cast to appear in this film. When she originated the role in 1982, it was her idea to wear a blond wig over her brunette curly hair. Howard Ashman originally saw Audrey as a brunette, based on Jackie Joseph’s look in the original The Little Shop of Horrors (1960). The original script called for Audrey and Seymour to be eaten by Audrey II, just like in the stage play. Frank Oz reluctantly had it changed after negative reactions from test audiences. Oz claims that the difference between the success of the scene in the play and the same scene in the film is that there is no curtain call to remind the audience that the actors were okay. I love to see a good comedy team again and again. And what makes a good comedy team? There’s magic that happens when some people get together. Chemistry is key. Sometimes it just clicks and you know that you’re seeing something special. Part of it could be that the performers are just having so much fun themselves that it’s infectious. I would like to celebrate the top 10 Comedy Teams of All Time, by counting them down. I know, I know. They haven’t been around as long as some of the Honorable Mentioned teams, but these guys are awesome. They’re bromance is as entertaining as it is endearing. I would see anything with the two of them in it. Always funny. They work very well together and I want to see them continue to work together for many years to come. So, will they work together again? Nothing is set, but their true friendship is well documented and they’re always looking to spent time together. Why not get paid, and make many of us laugh in the process. Fun for them, and us. 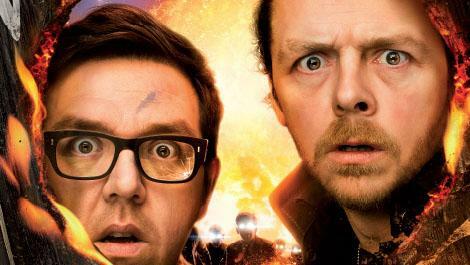 A few of the projects they’ve done together are; Spaced, Shaun of the Dead, Hot Fuzz, Paul, The Adventures of Tintin, The World’s End, and The Boxtrolls. Keep it up guys, I can’t wait for the next one. These two amazing women are quickly climbing the ranks of the Best Female Comedians of All Time. And that’s saying something. They’re right up there with the best of the best. So, it should be no surprise to find them here. Now again, like number 10, they’re a great team and great friends. When it works, it works. Here is a list of some of the projects they’ve done together; Chicago’s Improv, Olympics, Second City, Saturday Night Live, Martin & Orloff, Mean Girls, Baby Mama, and Sisters. Not to mention, they’ve hosted the Golden Globes together 3 times. All to rave reviews. May we continue to see them together in the future. 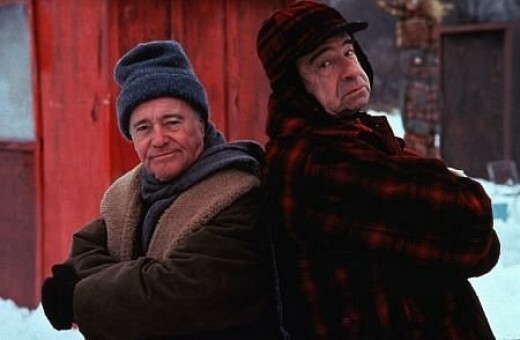 I love these guys, and it’s not just because of Grumpy Old Men. They each have prolific careers in their own right, but put them together and something extra special happens. 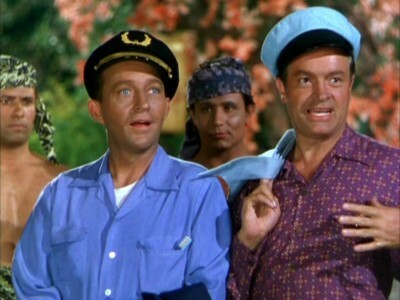 This original Odd Couple made some of the most memorable movies together. They will be greatly missed. Here are a few of the highlights of their work together; The Odd Couple, The Fortune Cookie, The Front Page, Buddy Buddy, Kotch, JFK, Grumpy Old Men, Out to Sea, Grumpier Old Men, and The Odd Couple II. 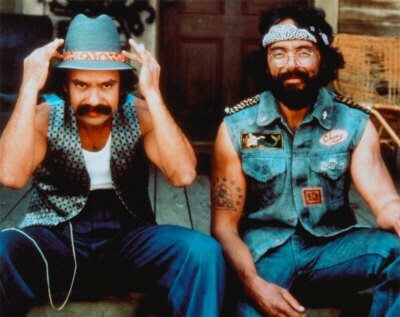 These guys were well established before making their “Road” movies together. They filmed seven together beginning in 1940 and even had an 8th planned, but it was scrapped after Crosby died prematurely from a heart attack. 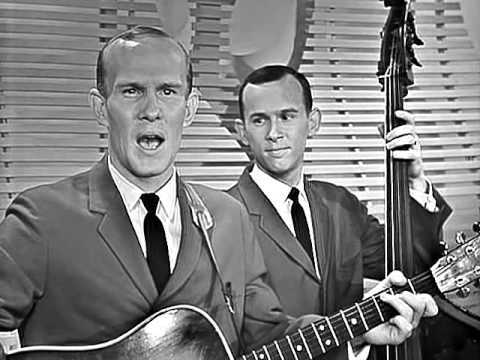 They performed many times together on the stage, television, and to the troops around the world. Both of them were well known supporters of men and women in uniform. Their films together were; Road to Singapore, Road to Zanzibar, Road to Morocco, Road to Utopia, Road to Rio, Road to Bali, and Road to Hong Kong. They split rather abruptly and it was widely publicized. Both went on to become very success on their own. Years later they reconciled, but they never officially performed together again. Some of their most popular films were; My Friend Irma, Money From Home, Scared Stiff, The Caddy, Living It Up, and Hollywood or Bust. 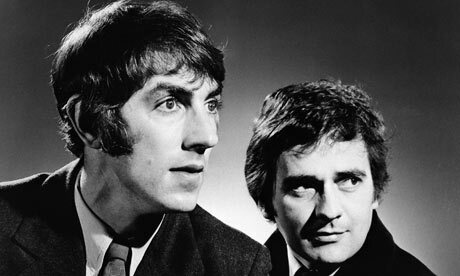 “Monty Python’s Flying Circus” first aired on October 5th, 1969 and the world would never be the same. After a very successful series of 45 episodes, Monty Python continued on with records, stage shows, books, specials, films, and much more. 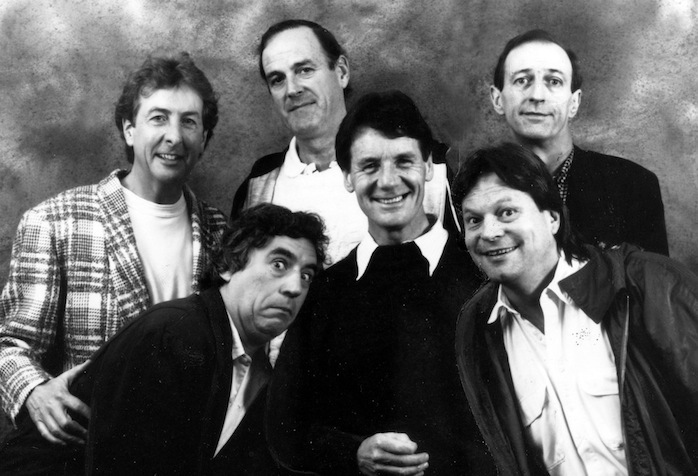 The team consisted of; Graham Chapman, John Cleese, Terry Jones, Eric Idle, Michael Palin, and Terry Gilliam. They have all gone on to successful solo careers and have performed periodically together for special occasions. Their films include; And Now For Something Completely Different, Monty Python and the Holy Grail, Monty Python’s Life of Brian, Monty Python Live at the Hollywood Bowl, and Monty Python’s Meaning of Life. 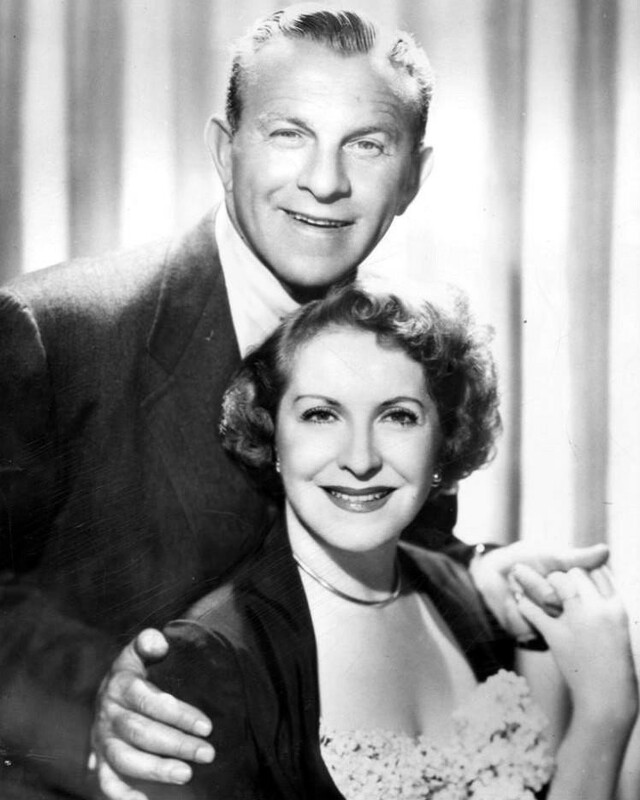 This pair appeared in over 32 silent short films, 40 short sound films, 23 full length feature films, as well as television, radio, and stage productions together. 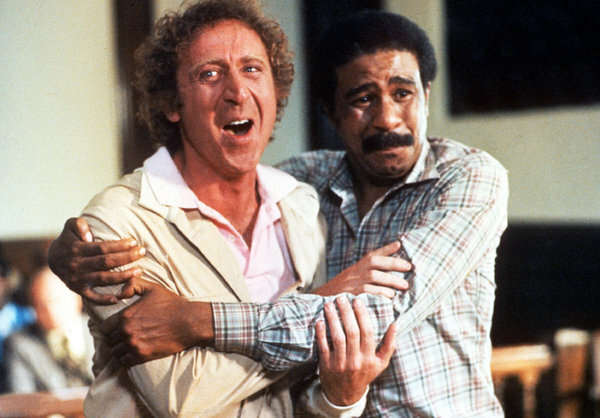 Both of them were well known actors before they teamed up, but skyrocketed in popularity afterwards. They continued to work together for over 20 years. Some of their most popular films are; Helpmates, Block-Heads, County Hospital, A Chump at Oxford, Way Out West, The Devil’s Brother, Babes in Toyland, Sons of the Desert, and The Music Box. 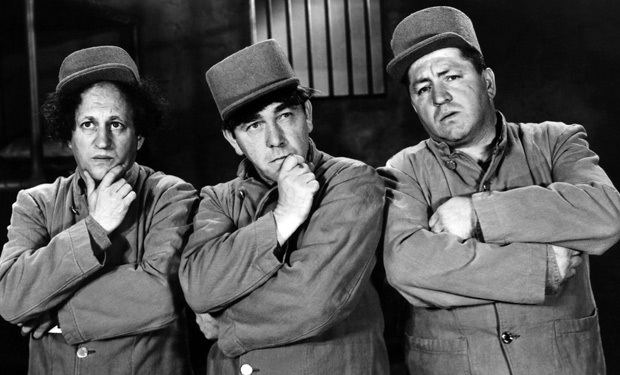 The 3 Stooges made 220 films. They appeared on television, cartoons, radio, books, and a lot of merchandise. The most famous Stooges were Moe Howard, Larry Fine, and Curly Howard. 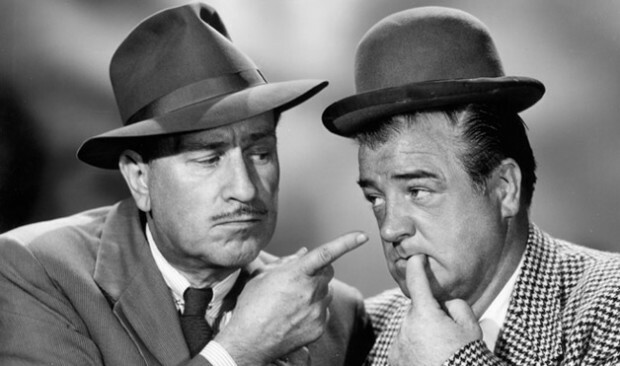 Other members were Shemp Howard, Joe Besser, and Curly Joe DeRita. We used to watch them every afternoon mixed in with our cartoons, as it ran continuously for many years in syndication. I doubt there is a person out there that doesn’t know who they are, even today. Their brand recognition is amazing. Their most popular films are; Hoi Polloi, Three Little Pigskins, How High is Up?, Brideless Groom, Punch Drunks, Disorder in the Court, Sing a Song of Six Pants, Who Done It?, and Malice in the Palace. 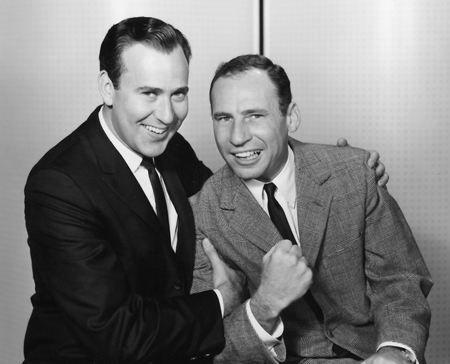 These two created the best sketch of all time, “Who’s on First?”. It’s also what pushed them into the big leagues. 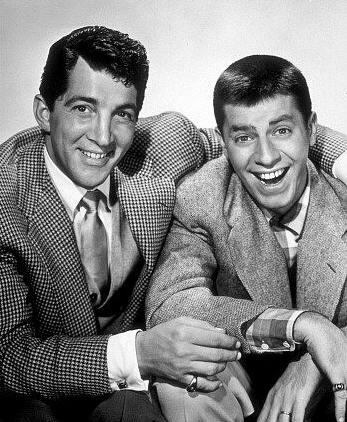 They began performing together in Burlesque shows and made their way from the stage to radio to television and the movies. In a partnership that lasted for over 32 years, they made some of the most popular films during World War II. Some of their most popular films were; Abbott and Costello Meet Captain Kidd, Abbott and Costello Meet the Foreign Legion, The Time of Their Lives, Buck Privates, Abbott and Costello Meet the Invisible Man, Abbott and Costello Meet the Killer, Abbott and Costello Meet the Mummy, Abbott and Costello Meet Dr. Jekyll and Mr. Hyde, Hold That Ghost, and Abbott and Costello Meet Frankenstein. These guys not only top most comedy lists I’ve seen, but they are my personal favorite for Best Comedy Teams Ever. They’re the best. Their movies are classic. 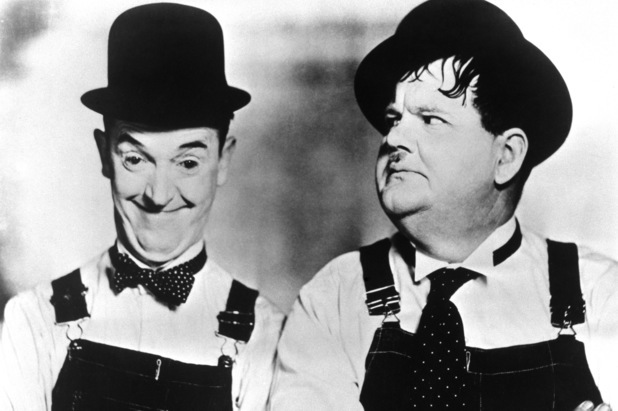 Five of their thirteen films, were selected by the American Film Institute as among the Top 100 Comedies of All Time. 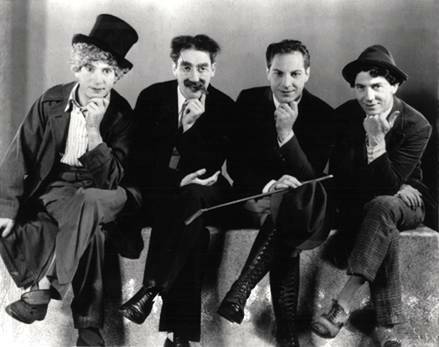 This family of performers honed their skills in vaudeville and their first two films, The Cocoanuts and Animal Crackers, were originally stage plays. 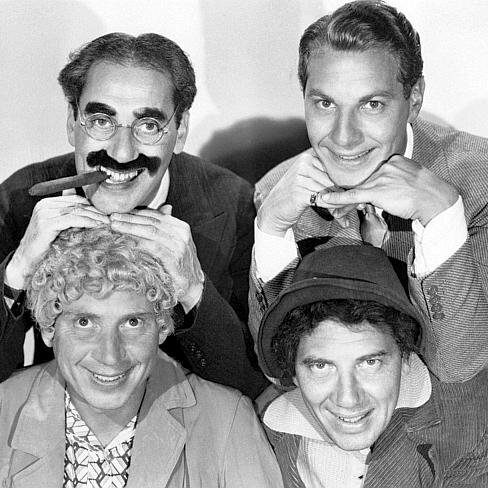 The team consisted of Groucho, Chico, Harpo, Zeppo (for five films), and Gummo (Manager for the brothers). And let’s not forget Margaret Dumont, who is considered by many to be the fifth Marx brother, as she appeared in most of their films as the “straight man” to Groucho’s zaniness. 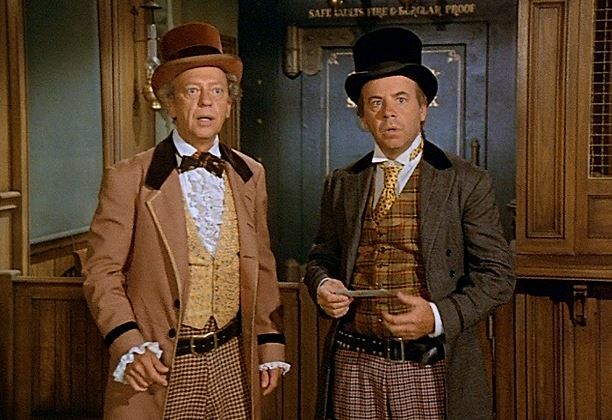 Some of their best films are; Monkey Business, Horse Feathers, Duck Soup, A Night at the Opera, A Day at the Races, Room Service, and At the Circus.